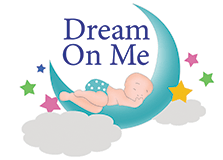 Dream On Me, 150 Ultra Coil Inner Spring Crib & Toddler Standard Mattress is designed for comfort and support. Feel confident knowing this mattress is constructed with quality materials and workmanship in the USA. The mattress features a protective polyurethane foam wrap on each side that provides a plush sleeping surface in addition to a hypo-allergenic foam Insulating layers for lasting comfort and durability. This mattress has 150 interwoven steel coils and all-around heavy duty steel perimeter support system. The waterproof cover, has a Lock-Stitch venting system and wipes clean with mild soap and water. Passes all Flammability tests (16 CFR 1632 /1633) and also pass phthalate, lead and toxicity tests and carries a 10 year warranty.